Dr. Ruth Anna Marie Schmidt was born in 1916 in Brooklyn, New York. She earned both a Masters and a Ph.D. in Geology from Columbia University. From 1943 to 1963, Schmidt worked for the United States Geological Survey, starting in Washington D.C. and later transferring to Alaska in 1956. In 1950, Schmidt was investigated by the U.S. Department of Interior Loyalty Hearing Board for being disloyal to the United States Government. After a hearing, the Loyalty Board determined she was loyal. In 1954, with a change in loyalty and security procedures, Schmidt was investigated again. After another hearing, she was found to be loyal to the U.S. Government. 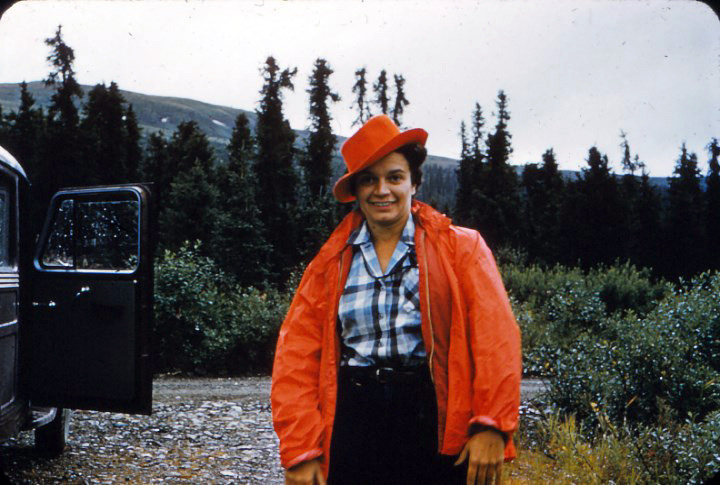 In 1959, she began teaching geology at Anchorage Community College and later founded and chaired the Geology Department of the University of Alaska Anchorage, retiring in 1984. On March 27, 1964, Schmidt was one of five scientists drilling holes into the frozen Portage Lake to measure water depth when the 9.2 earthquake began. She was later named the Federal Coordinator of the Engineering and Geological Evaluation Group, which assessed earthquake damage and future risk. In her personal life, Schmidt was a philanthropist who supported conservation, opera and symphony, public media, and social services, as well as science and science education for women and minorities. She was also a charter member of the Alaska Geologic Society. Ruth Schmidt died March 29, 2014.